The first work in our gallery is by Evelyn Lamb. 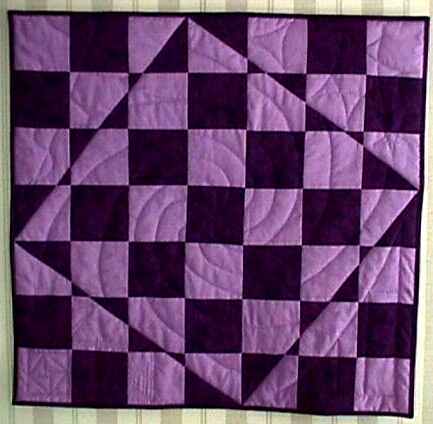 She made this quilt for her grandparents’ 64th anniversary. Read more about it here and here! 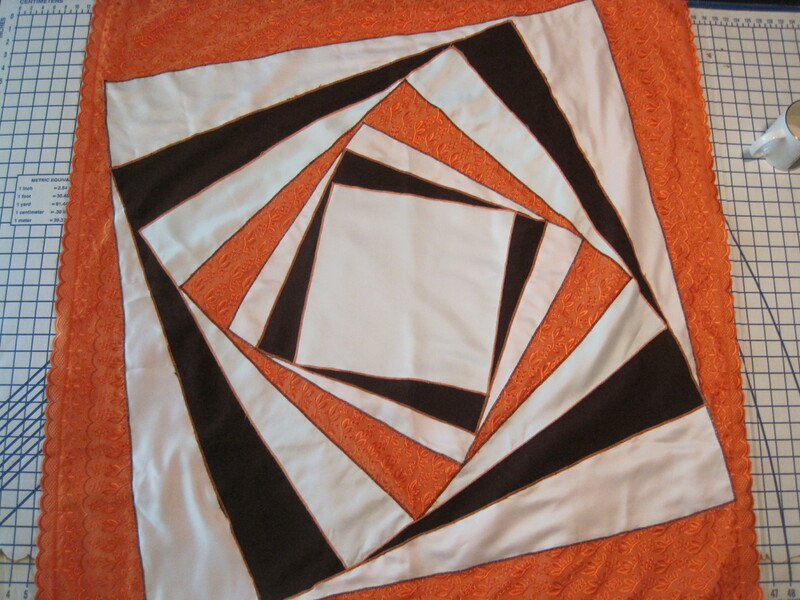 And another quilt! This one’s by Anabeth Dollins, a retired mathematics teacher. Do you see Pythagoras? 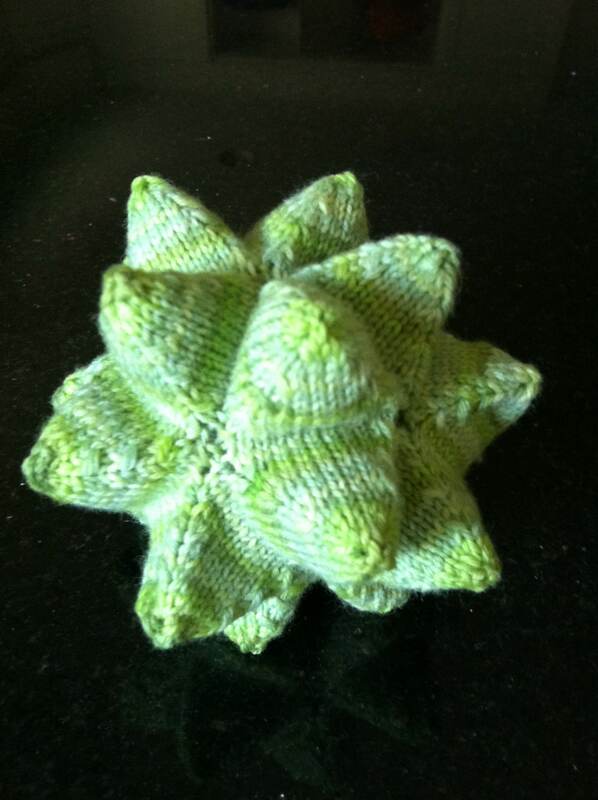 This knitted stellated icosahedron was made by Liza Goldberg, a high school math teacher. It’s about four inches across. Anabeth Dollins is her mom! Another by Anabeth Dollins. It’s a rhombic hexecontahedron–more info here! that is amazing art work that Evelyn did for her grandpa. I have 2 questions. Why did you choice squares and not stars or triangles?Also do you do art for everyone in your family?